What follows is a series of adventures both humorous and precarious that aid Chike’s personal growth and understanding of the world, from dealing with a money-doubling village magician to being tricked by his headmaster into carrying a missionary’s luggage across a stream. Through perseverance, Chike eventually realizes his dream, but soon finds Asaba is not as he had imagined. The journey home becomes yet another test of wit and bravery. 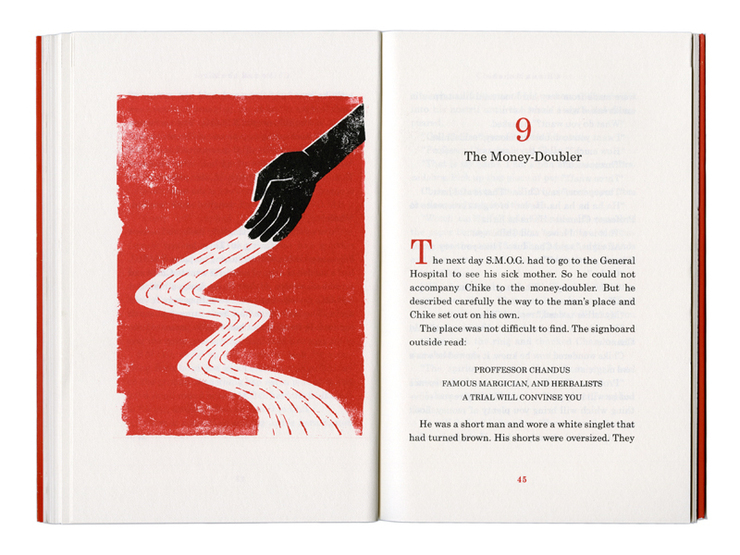 Unlike previous illustrated editions of Chike and the River, the August 9, 2011 Anchor Books edition features the work of Cuban-born artist Edel Rodriguez, a regular contributor to The New Yorker magazine and a former art director for Time Magazine. Each in three colors (red, white and black), the abstract acrylic paintings complement the modest, yet wildly creative spirit of the narrative. 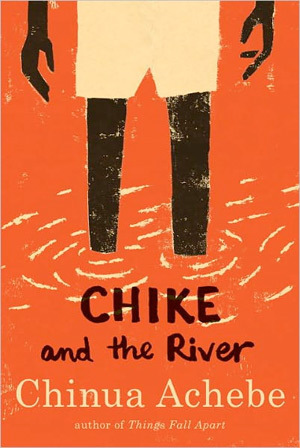 A charming story of the modern versus the traditional, of pushing against and overcoming boundaries, Chike and the River offers enjoyment for readers of any age.